My daughter had been sick for some time. We didn't know what it was, we thought it could be a dozen other things. She had all kinds of symptoms so it was really hard to pinpoint and get a diagnosis. Looking back about 10 or more years, I had been in and out of the doctors office with all kinds of weird symptoms as well. No one could explain them. No one had an answer. They could only give me medication to mask the symptoms. Now fast forward to just a few months ago. We kept hearing about some many people going off of gluten and becoming gluten-free. We wondered if it was just some kind of dietary fad. But then the Lord brought friends that struggled with gluten allergies and helped to educate us. Yes, this was serious and something I needed to understand and consider what was really at hand. So we tried it. My middle daughter tried going gluten free for a while and something miraculous happened! She actually got better and didn't always feel sick. So I tried it too and I felt better, but it seemed like to much work to figure it all out. Did I really have time to do that? But I didn't get serious until one day when I went to Olive Garden on a date night with my husband and had a bad allergic reaction to something I ate. I felt like I needed to go to the doctor--I was having trouble breathing and felt like my tongue was swelling up. It really scared me! Now that I look back, it is interesting to see that I always felt like I was having some kind of strange reaction to the food I was eating. But I just didn't know what it was. That night I decided I needed to be more careful and once and for all figure out if this was really a gluten issue, especially if it could be life threatening. I knew that there were also health benefits of going gluten free so I decided it couldn't hurt. Ever since I have eliminated gluten from my diet I have felt tons better. I am still learning my way around this new way lifestyle of eating-- but feeling like now I have some control over me not feeling well. I am grateful that the Lord is helping us. I know that many of you have struggled with the same things and are learning your way around this issue and trying to heal your body. So I will be sharing our journey and foods & recipes that we are using around here in our household that might bless you! Having food allergies and sensitivities is hard enough and we don't need to go at it alone! It is very easy to understand and shows you all the basic steps you need to take. I also appreciate how they break down reading food labels. That is one of the hardest things about eating gluten free and I find myself "googling" most items at the supermarket when I am not sure. If you have any helpful pointers, tips, or resources you would like to share I would truly appreciate it. Just leave them in the comments section below. And if you could say a prayer for us going gluten free I'd really appreciate it! We will be sharing our new recipes here for you to enjoy in the future. Do you have a food allergy? If so, what is it and how do you deal with it? If you have time to answer, I was wondering if you could tell me how you get your pictures so large? I have a blog on blogspot as well and every time I upload pictures it makes them fairly small on my blog. 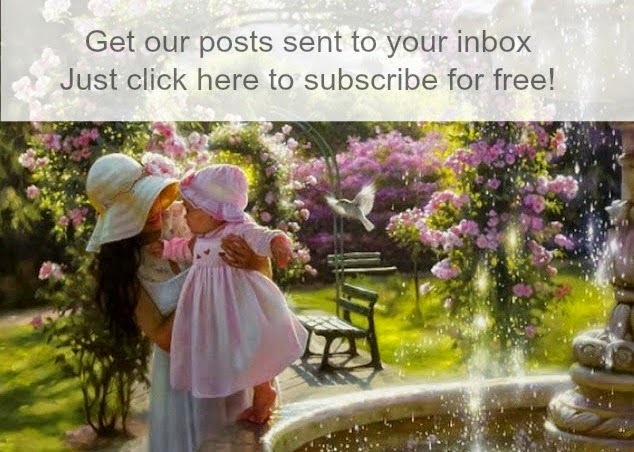 I enjoy our blog! Yes, I have food allergies. I am a 64 year old wife, mother, and grandmother, and have known for many most of my adult life that I am lactose intolerant. Two years ago I began having unpleasant intestinal symptoms that got worse as time went on. I was going through a stressful time, so at first I thought my problem was only due to the stress. But after about 10 months of the increased intestinal problems, I began to wonder if the problem was due to gluten. Long story short, I did a lot of reading and visited my doctor. She determined that I was gluten-intolerant, a condition that is often coupled with lactose-intolerance. The stress I had gone through probably "pushed it over the edge", so to speak. 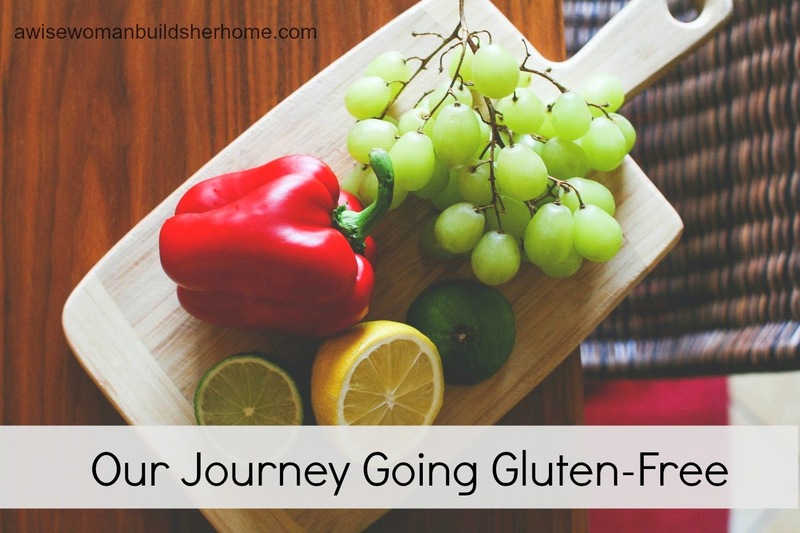 I began eating a gluten-free diet immediately and within 2 days I was feeling remarkably better. I have since then continued with eating gluten-free, am mostly vegan (fish or chicken once a week), usually raw, totally dairy and soy-free. I lost 18 pounds in the first 6 months of going gluten-free and I feel very good. The intestinal problems are gone, and my tendency to be depressed is dramatically reduced. I do not eat gluten-free bread products of any kind, which is a tough adjustment, but it has worked for me. I wish you well with the dietary changes you need to make. 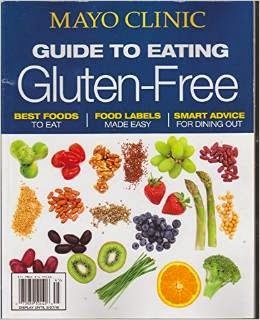 It gets easier with time and to our advantage, grocery stores and restaurants are becoming very gluten-sensitive. P.S. For communion at church, tuck a small rice cracker in your Bible or purse and use that instead of what the church offers. My church has a lot of GF people, so as the communion plate is passed, I am able to help myself to a very small zip-lock bag containing a single rice cracker. The communion preparers label these bags,"Gluten Free." Thanks for sharing your story, Lori, looking forward to checking out your link! Hi Southern Lady---I just set the image setting onto x-large! Hope that helps!